On Friday 18 August, around 300 people will gather at the former site of HMAS Platypus in Sydney Harbour. On that date 50 years ago, the HMAS Oxley arrived in Australia, marking the start of the current era of submarine operations in Australia. 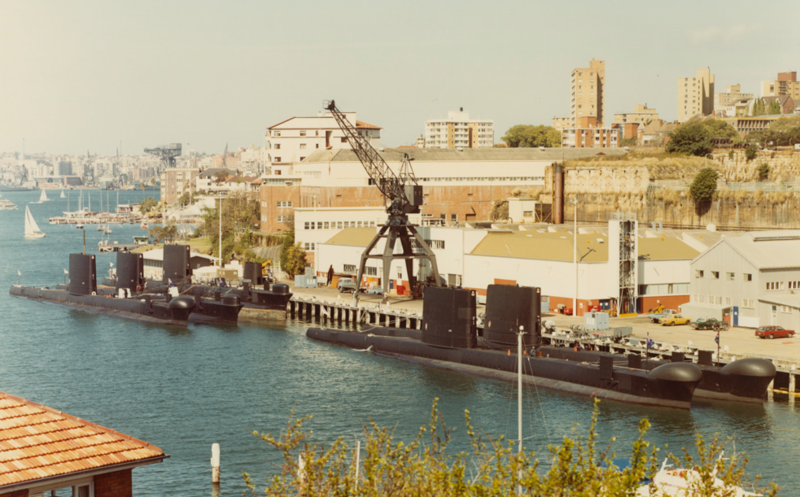 The new naval base was formally named HMAS Platypus in a commissioning ceremony held on 18 August 1967. The selection of the name Platypus perpetuated a long association between the on-again-off-again RAN submarine service and two previous submarine tenders, both named Platypus, that sustained the J-class submarines based at Corio Bay, Geelong, during the 1920s. For 32 years, nine submarines operated from Platypus: six Australian Oberon-class boats (Oxley (II), Otway (II), Ovens, Onslow, Orion and Otama) and HM Submarines Trump, Tabard and Odin. The base also hosted a number of submarine and ship visits. The headquarters of the Commander Australian Submarine Squadron was relocated to HMAS Stirling in 1994. That foreshadowed the introduction into service of the new Collins-class submarines and a strategic decision to relocate the RAN submarine squadron to Fleet Base West, Garden Island, WA, in support of a ‘two ocean’ navy-basing policy. In March 1999, HMAS Otama conducted the final deployment from Platypus and the base was decommissioned. That’s the historical aspect of the event, but what about the strategic significance? Those 32 years marked the birth, the formative years and the maturation of the navy’s submarine arm. Australia became a respected submarine-operating nation. It’s difficult to imagine the challenge that confronted those submariners in the early years. The current submarine debate centres on the technical aspects, including Australia’s design and build capacity. Our ability to operate a modern submarine is never in question: indeed, it would be fair to say that our modern submariners are world-class. But the journey to arrive at such a position shouldn’t be underestimated (or treated lightly). Certainly, in the early days the RAN relied heavily on support from the RN. Apart from British submarines operating in our waters, our people were RN-trained, though a number of Brits saw the light and came across to the RAN, a tradition that still exists today. But submariners, like the nature of their operations, are fiercely independent. Although the RAN maintained a link to the RN, as well as other Oberon-operating navies, it forged ahead, intent on going it alone as soon as it could. It must be remembered that the Oberons were acquired by the government of the day for their strategic value, but were initially used to provide anti-submarine warfare training for the fleet, in what were colloquially called ‘clockwork mouse’ operations. 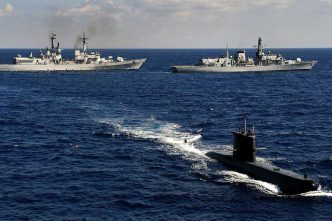 The late 1960s and the ’70s were dominated by consolidating the capability as the remaining five submarines deployed to Australia. 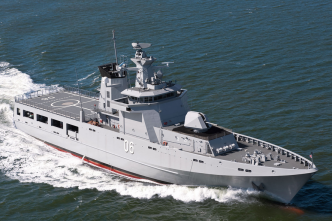 By the time Otama arrived, the navy was ready to embark upon what was then its most ambitious capability upgrade program. The Systems Weapons Upgrade Program provided a new weapon, new sensors and—probably most importantly—a new fire-control system. Along the way, the Harpoon missile was introduced to our inventory. The upgrade program also marked the birth of our strategic relationship with the US Navy. Now sharing common weapons and combat systems, the RAN’s submarine force was able to demonstrate its professionalism, not only in how it operated our submarines but in how it supported them organically. If the ’70s were about the submarine force establishing itself, the 80s were about its transformation into a strategic capability as the boats deployed all over the world. A special year was 1985, when Orion deployed north, Onslow deployed to the west coast of the US, and Ovens fired the first harpoon missile from an Australian submarine at the Pacific Missile Range Facility in Hawaii. The ’90s saw the birth of the Collins class but, despite that, the Oberons continued to deploy all over the world. In 1990, Oxley went to Europe and participated in the 75th anniversary of Anzac Day. Exercise Lungfish, the USN–RAN submarine-on-submarine exercise, was born. In March 1999, Otama commenced the final operational deployment from the base. 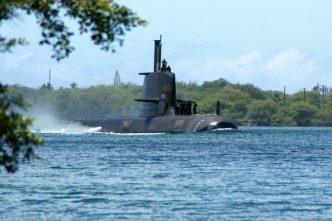 Perhaps the greatest legacy of those early days was that they provided the RAN and, more importantly, the public and the government with the confidence that Australia could support a sovereign submarine capability. The challenges that Collins faced in the early days are well documented, but submariners worldwide considered it a most capable submarine. Looking back, Platypus and the Oberons played a significant part in the journey to the strategic role that our submarines play today. 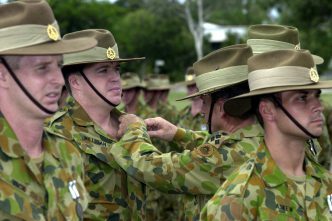 To those of us who served, though, Platypus was a home, a way of life and, more often than not, just plain fun. Friday 18 August will be about reliving those memories and remembering those who went before us. The first 50 years of the modern era of submarine operations were busy; I expect the next 50 to be no less so. Mark Sander is a former submariner and currently serves as the president of the Submarine Institute of Australia. 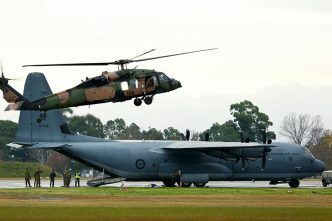 Image courtesy of the Royal Australian Navy.